The Squier Vintage Modified Precision Bass Fretless 4-string bass guitar in 3-Colour Sunburst is the first fretless Precision Bass model to be released by the brand and provides the perfect combination of vintage style and modern features. The Squier Vintage Modified Precision Bass Fretless features an instantly familiar Agathis body that is accompanied by a 34” scale Maple neck. Topping the neck is the main feature of the bass, a 9.5” radius fretless Ebonol fingerboard that is fitted with white fretlines that make playing much easier. This combination helps to create a lightweight instrument that is capable of producing a surprisingly wide-array of tones. 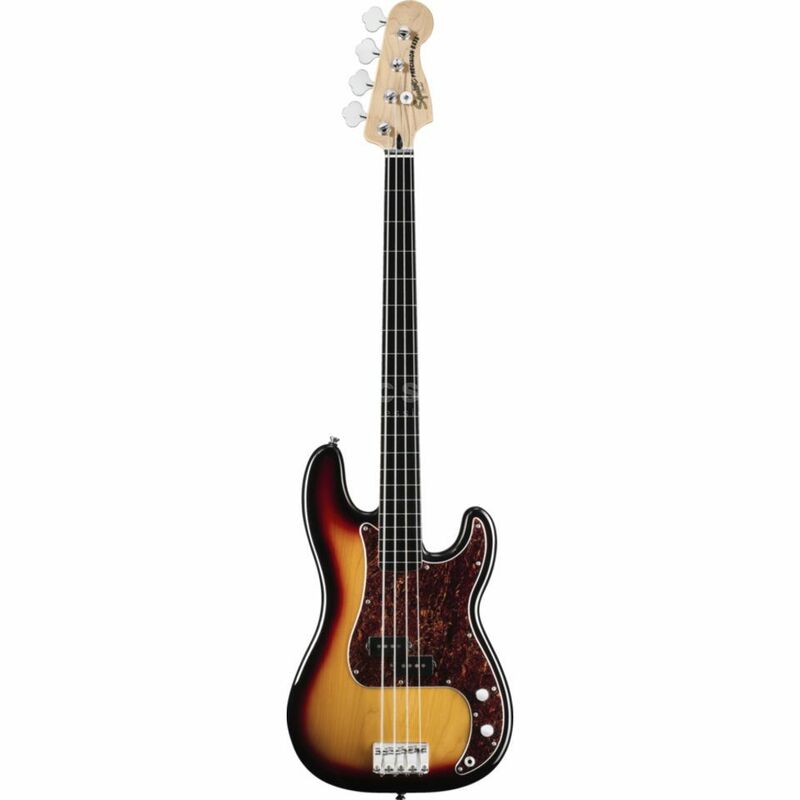 The body of the Squier Vintage Modified Precision Bass Fretless is equipped with a powerful Fender-Designed split single-coil Precision bass pickup that is joined by simple master volume and tone controls. This setup makes achieving the perfect P-Bass tone incredibly easy and adds to the versatility of this stunning instrument. Also present is a standard vintage-style four-saddle bridge, standard open-gear tuners and a Tortoiseshell pickguard. The finish (paint job and varnish) is bad. The Indonesian factory should improve their quality control. I noticed bad sanding spots in the wood and clots/drops of paint and varnish.